The bassoon is a fascinating instrument, particularly for children. Who does not remember the grandfather's deep humming from the composition "Peter and the wolf" by Sergej Prokofiev or the indefatigable brooms from the "Sorcerer's apprentice" by Paul Dukas ? But why is the bassoon rarely heard at music schools ? - minimum age for real bassoon ca. 11-12 y. Our target was to develop an intuitively usable instrument, most of all one that works and sounds like a "real" large bassoon. In short: fit in all ways for the needs and actual daily life of small kids. 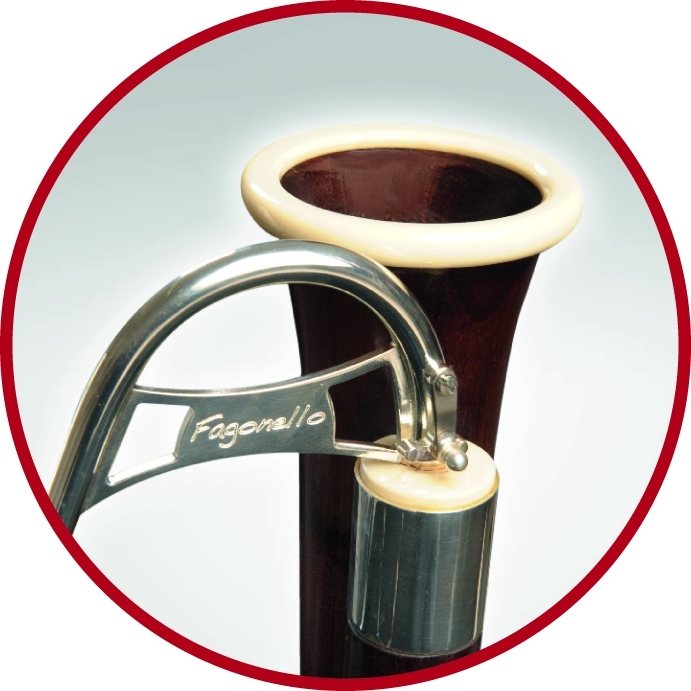 What are the features of a Fagonello ? What were the alternatives in the past ?